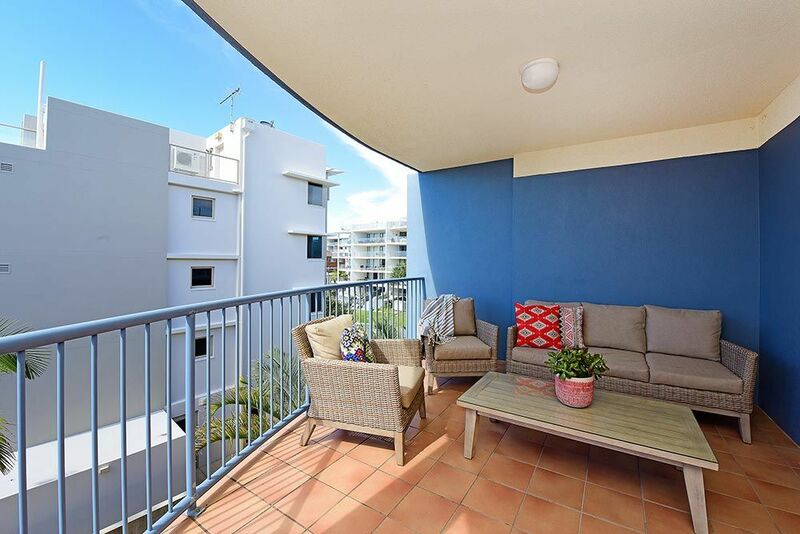 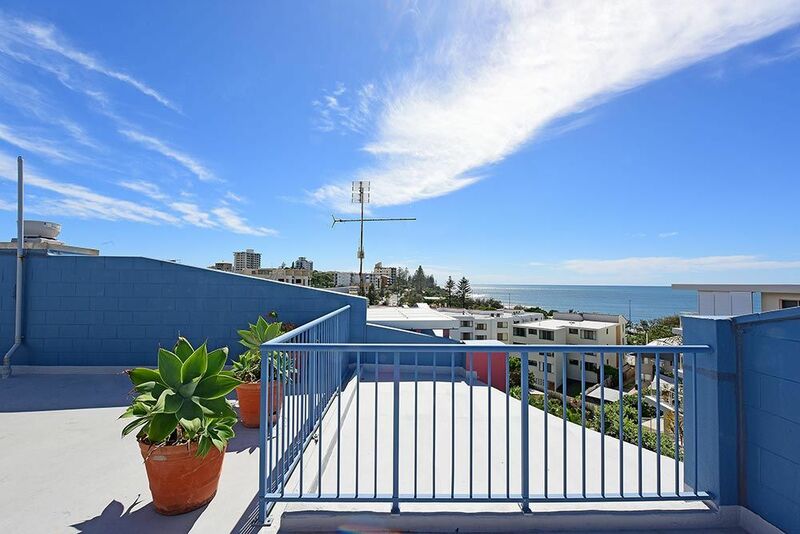 Stunning sea and blue sky views will welcome you happily to this gorgeous 2 bedroom apartment on level 3 of Lindomare Apartments. 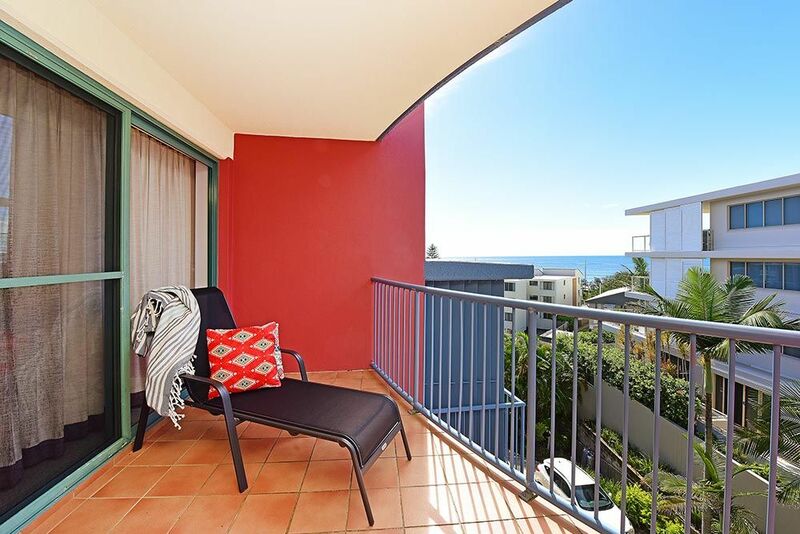 A huge balcony, stylishly furnished with wicker loungers, has ample room for admiring the view, catching the sea breezes and enjoying refreshments in peace and comfort. 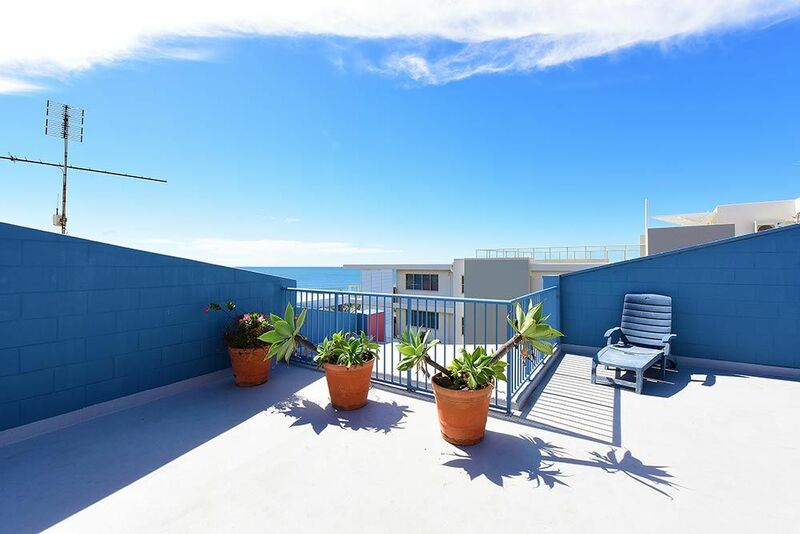 Furnished in beachside tonings of sand, grey and blue, this bright and spacious, air conditioned, open plan apartment, combining kitchen, dining and living spaces promises a comfortable and relaxed sea-side getaway. 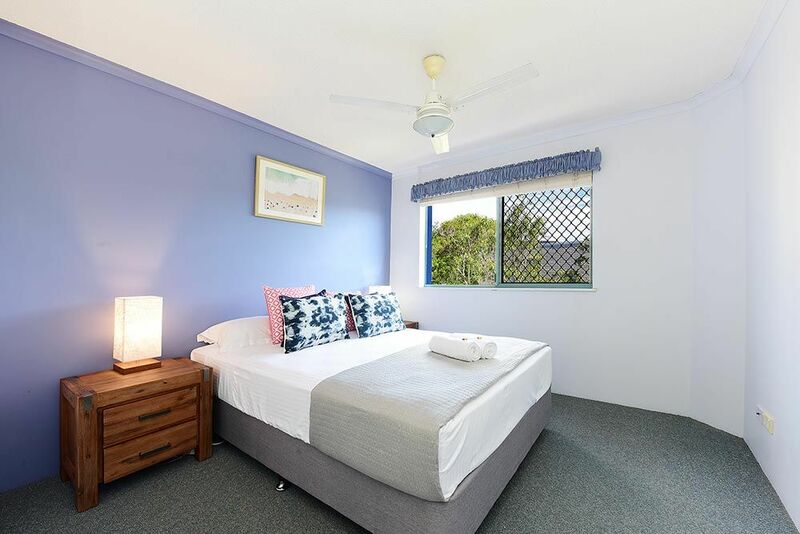 The easy beach vibe continues through to the tastefully furnished master bedroom with En suite, flat screen television, ceiling fan, built in wardrobes and large windows to the west. 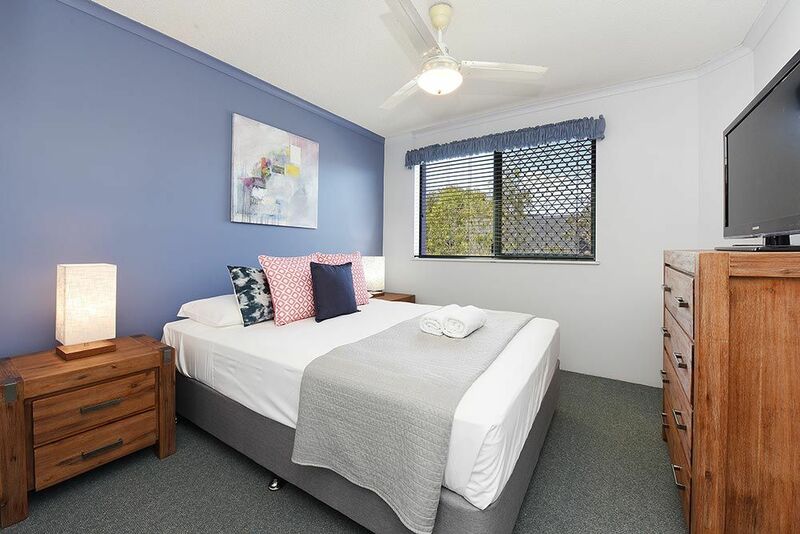 Guests in the second bedroom can enjoy either twin single ensembles or king ensemble, by request, to ensure the comfort of all members of your group. 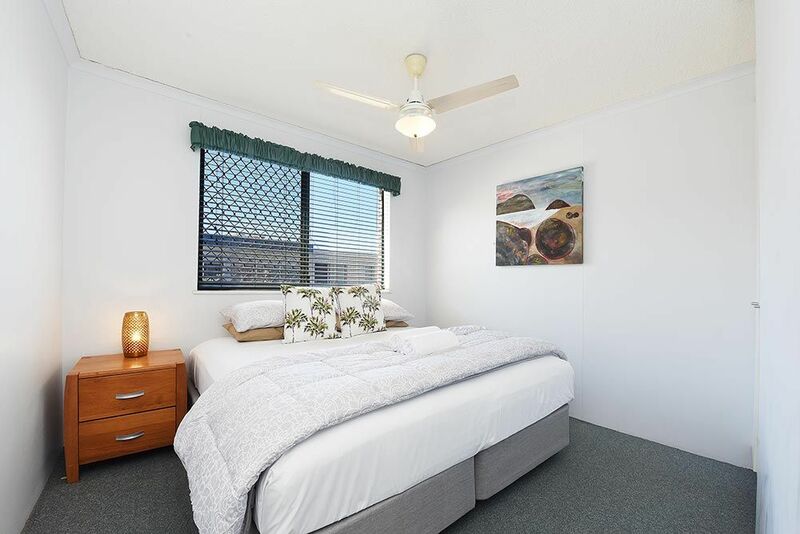 This room is completed with built in wardrobes and ceiling fan with plenty of sunlight through large windows to the west. 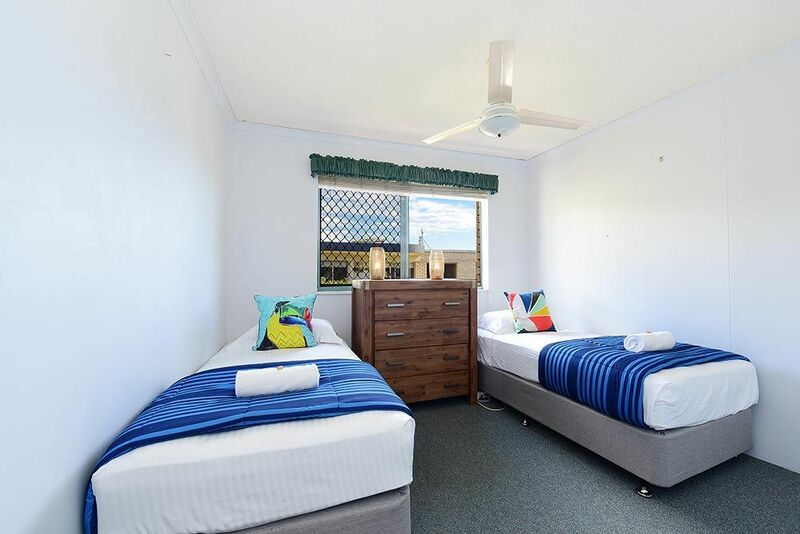 An extra guest can be accommodated with use of a sofa bed in the living area. 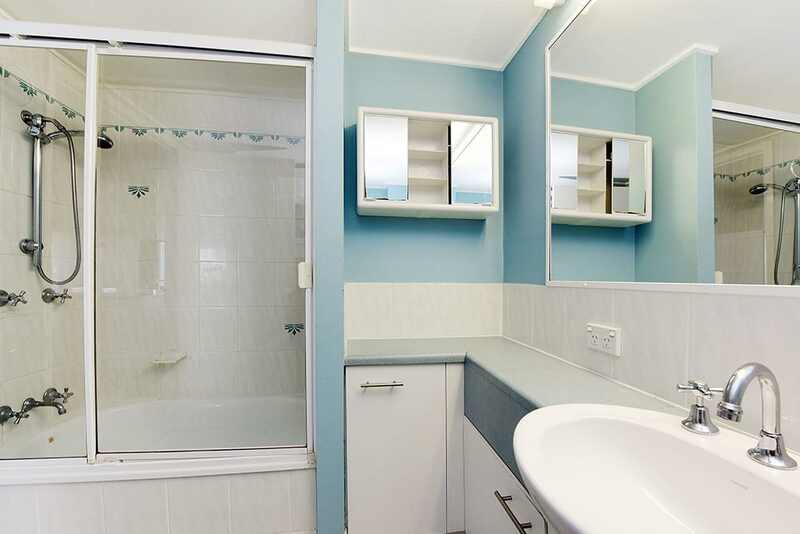 Including a shower/bath combination, large vanity and wash basin, the bathroom incorporates full laundry facilities including a large capacity washer, wall mount tumble dryer and large laundry tub. 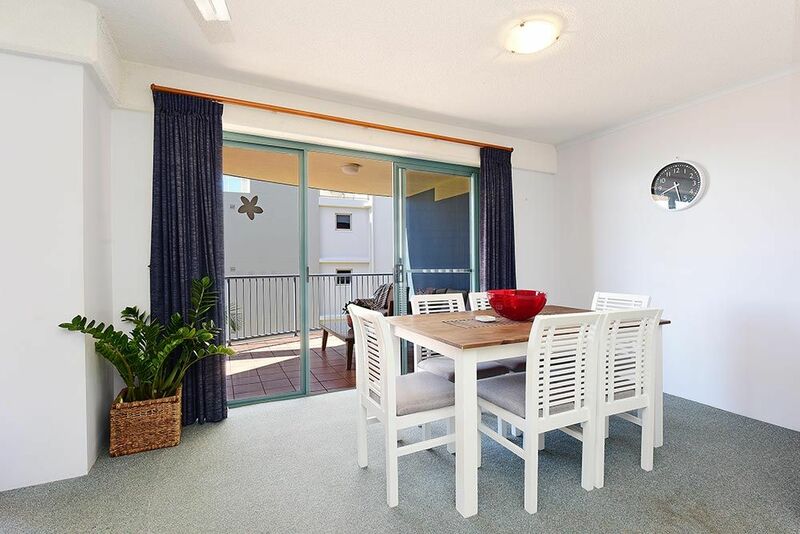 A clothes airer is provided for use on the balcony. 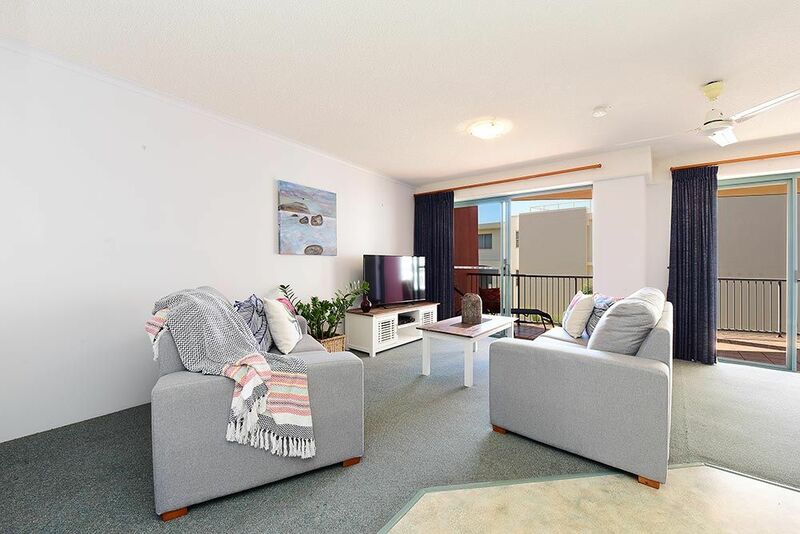 With a large flat screen television and DVD player for laid back entertainment and comfortable, new sofas, the living space is perfect for both lazy days or entertaining. 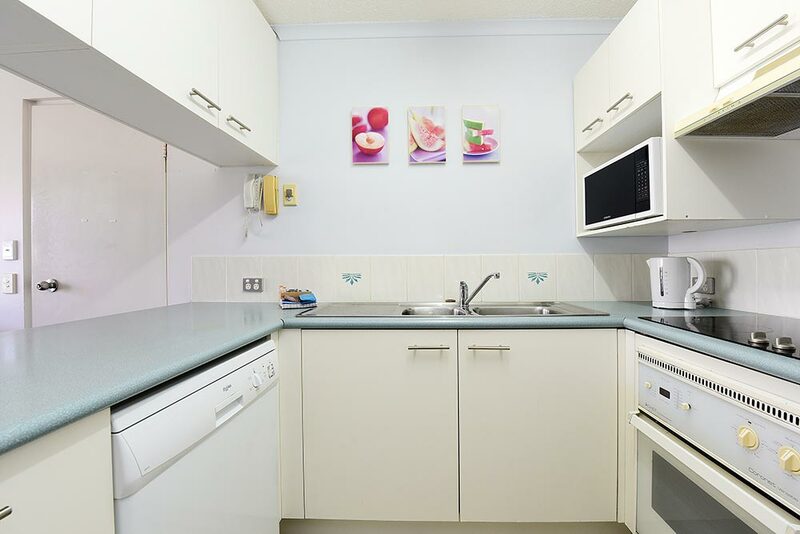 Meal preparation will be easy with a fully equipped kitchen, including large capacity fridge, stove top and oven, microwave, dishwasher and all culinary essentials you will need during your stay. Share meals in the dining space, on the balcony or on the roof top space which is for your personal and private use. 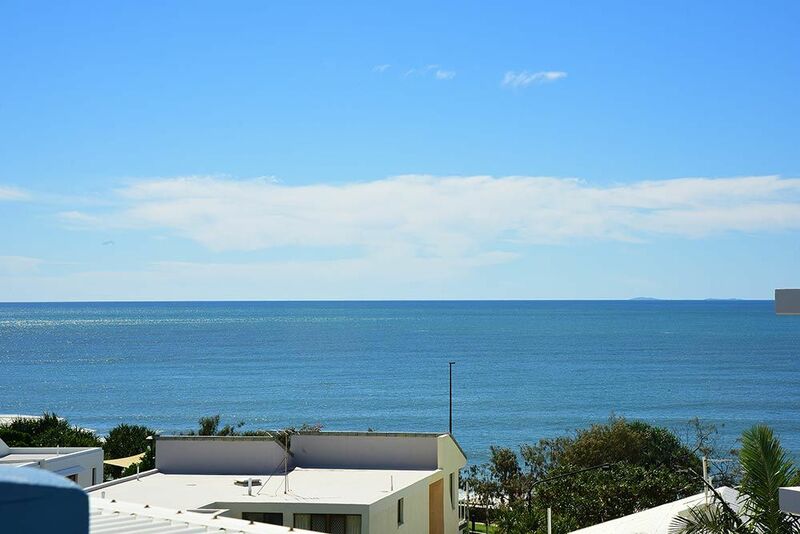 With expansive views to the North, East, South and West you are sure to spend time on the roof sun bathing, ship watching, enjoying some refreshments and maybe some surprise fireworks or entertainment from the Kings Beach amphitheatre. 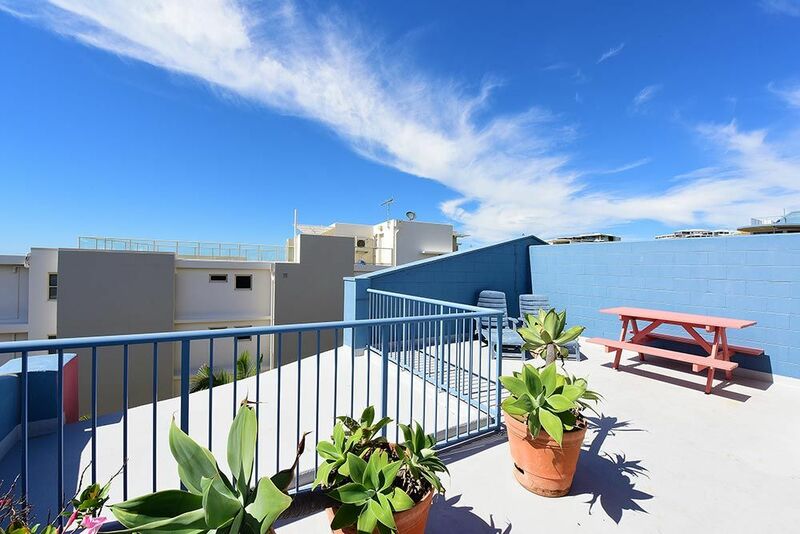 This apartment has a secure, off-street garage space which is accessed from the upper entry driveway.